This is a post that will teach you all that you need to know about fishing - from the history, skills, contests, news, products for fishing, etc. It is no longer considered to be only for survival because people have grown to love the thrill and challenge of catching fish. There are also certain rules that will be given here about fishing competitions to maintain the proper etiquette while it is taking place. There is more to fishing than what people actually who don’t really get involved in it because it is not just about taking the rod out and catch fish. It has become an enjoyment, a sport, and something that people are taking pride in. You will learn a lot more by continuing to read this post. Even before, catching fish had always been something that people had to do for survival. Fishing started in the western world together with “Treatyse of Fysshynge with Angle” which was a publication that catered to the upper class of England during the year 1496. People who were a part of this aimed to catch trout and salmon that were found in inland waters. The contents of the publication were about rods, artificial rifles, and lines. You may not believe it, but some fly patterns that were discussed still exists today and people still use it. The term fly came from the time when people really caught flies to use as bait. Up to the 16th century, people placed a line at the end of a long stick and used it to catch fish. When 17th century came, guides were placed on a bait to allow the line to run and this happened at the same time Izaak Walton was working on “The Compleat Angler”. This paved the way for the invention of cast and reels. After that came the split bamboo rod. The first fly line was made by getting a strand of hair from a perfect stallion’s tail which was a 4 lbs. test. They were plaited together to add strength. This is the time when people also started to use gut line, silk, and linen. 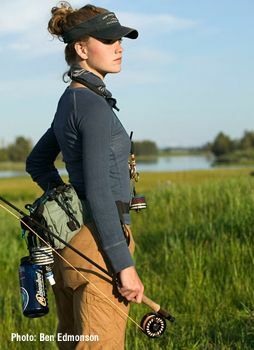 Reels were originally made from wooden spools, but later on, center pin and fly fishing style models emerged. It was in the year 1874 when George Orvis patented the version that is modern. It was during the 1820’s when the US started to invent open-faced bait casting reel which eventually became popular through time. During the year 1896, William Shakespeare of Kalamazoo invented a casting model known as the level wind bait. The last innovation that took place was the spinning reel. The development of fishing tackle kept on continuing even after 100 years, but the first ones to engage in fishing enjoyed every experience they had and without their initiative and great minds, maybe fishing would still be how it was before. Fishing takes a great amount of patience from you, but the whole experience will be worth it especially if you catch a great one. See more photographs about the history of fishing workers and their unions here. Prepare for a strike – It is essential that you know how to do line control well because it will help you in achieving more effective hook-ups. Line control can be properly done by coordinating the line movement between your stripping and rod hand. When the fly line is already between the index and middle finger, you can now set the hook. You will feel a tug on the line when a fish took the bait. This also helps in controlling the line. Once you squeeze your index and middle finger at the same time, you will place tension on the line allowing you to control it. 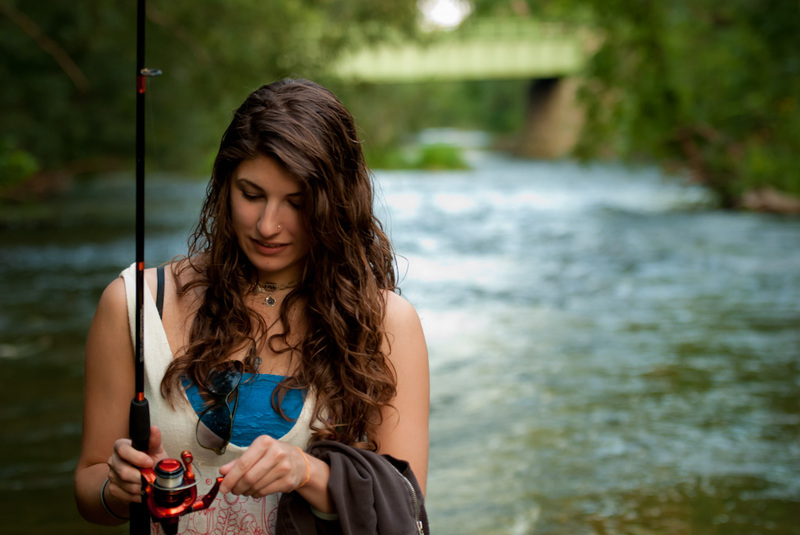 Set the hook – The lifting of your casting hand should be very subtle while keeping enough tension placed on the fly line that will go between your fingers and hand that you use for casting. Remember to avoid pulling too hard when you are using tippets that are very fine. Make sure to not squeeze line too much using your fingers because you should be able to set the hook, but keep the weakest link on your tackle from breaking. Hook should be sharp – Ensure that your hooks are sharp to not miss out on any fish which took the bait. Hooking an unseen fish – Since you cannot see the fish, you should be very alert in pulling up the line as soon as you feel a tug because you never know exactly when the fish will strike. Set the hook for sight fishing – The good thing about this is you will know when the fish will come and take the bait. This is about casting to rises because you are also able to cast when you see fish. This might sound very simple, but you should not cast it too early and not get overwhelmed because sometimes it takes time before they take the bait which can make you impatient. This will make you pull the line right away and rattle the trout making them confused. Keep reminding yourself how much you love fishing because it reminds you of the passion and the reasons why you are doing it. Proper way to fight with the fish – Allow for short runs by pulling back the fly line slowly using your hands. When the fish has taken the line, allow it to run and then lit release smoothly. If the fish moves in constant motion, you can easily put the line on the reel while fighting with the fish. This would be better especially if the fish is big because it will run smoothly. This also keeps the line from going around your feet which can cause breakage of the line. It can also cause you to trip or fall that will eventually lead to an accident so be careful when fighting with fish. You should stay alert with the movement of the fish on the line so you can keep good control of it and you’ll be able to gauge how much tension you need to apply. Be patient and you will eventually learn the skills needed to get a bigger chance of catching fish. This is a type of fishing wherein the real fulfillment comes from trying to find the fish and then catching which is valued better than the value of the fish caught and its meat. There is not a proper distinction for this because there are also times when the person will also eat what they caught. What makes this different from “food fishing” are the strategies, tactics, and principles used in sport fishing. When you try to determine the method that will be used for fishing, it can be different depending on the area where you are fishing, what kind of fish you are trying to catch, your own skills, and what the availability of the resources around you. The weight and size of the fish can also affect the kind of method you will use because this can change the amount of tension, angle, and strength that you need to have on the line. The ability of the fish to fight with you also differs because some species are stronger than others which can turn things around if you are not skilled enough. There is a more sophisticated method which originated from Great Britain and the much more expensive ways that is used to catch tuna and marlin. No matter what the situation is, rod, reel, and hook are used rather than other things for fishing. People also used to bring the fish they caught for weighing and not eat it because they want to preserve to serve as their trophy. This made the fish suffer because they almost died while the catcher was doing this which is why conservationists and concerned citizens have influenced the fishers to just release the catch while it is still strong enough to keep on surviving. There are times when the fisher would just place a tag on the fish, take the details, and then release it again. This will let the fish swim freely again after being caught and the fishers to take all the details they need so this would be fair for both. Competitions are being held which gives the fishers, whether from teams who are riding on boats or individuals, are assigned to certain areas with a time limit to catch fish. There is award for each fish that they catch and points given will depend on how the fish weighs, what kind it is, and in some cases the strength of the fishing line used. This means that it if you are able to catch a big fish using a line that is thin, more points are given. If it is for a tag and release competition, there is a fixed score for fish given and they will divide it by the strength of the line to determine the award that will be given. In America, people were already fishing for Salmon since the Ice Age which makes it a really old practice. 11,500-year old remains of Salmon were discovered in central Alaska at a cooking hearth. The remains were found on top of a grave of 2 infants. This serves as first evidence that people already caught Salmon in Alaska even before. Prior to the discovery of these remains, they did not think that Paleo-Indians were already consuming salmon. Bones of other animals were also discovered at the site. The place where salmon remains were found, show that salmon exploitation already happened during their time. There was a total of 300 Salmon fragments found on the site. Getting the first evidence excited the discoverers, but they’re still not aware how much salmon were already being used. It is possible that people used nets to catch a small number of salmon. Aside from salmon remains, they also saw remains from squirrel and hares which shows that Paleo-Indians also went for other animals. Like any other fishing day Tom and Kocur (61 years old) set out to fish on their boat. At first they were catching small fish and even got a 15-pound carp. It was a good day of fishing for them and when they least expected it, right after letting go of a 17-inch smallie, they felt something bigger tugging on the line. Kocur had to play with the fish for a while before finally being able to reel it in. She was even hoping that it’s a walleye and told Tom to get the net, but suddenly they were shocked to see that it was something bigger. They first thought that it’s a piranha, but what they caught instead was a pacu – the vegetarian cousin of piranhas. The fish was identified to be a pacu by Tom Bacula, district fisheries biologist who works with the DNR. Bacula also stated that it is not unusual that they caught a pacu because it is similar to piranha. A full-grown pacu is 16 inches long, 8 inches high, and approximately 3 lbs. heavy. Piranhas and pacus can be both found in Central and Southern part of America. Pacu can be found in fish tanks and there is no law against owning one. The size of the pacu is bigger than a piranha and when they are already bigger than their aquariums, they are released into the ponds, rivers, and lakes. A pacu was also found in Cedar last year and this is the first time that someone caught a pacu in Kankakee river. Other odd fishes were also found in Wabash River this year which could’ve been caused by flooding. Bacula stated that Kocur did the right thing of capturing and keeping it because it took the pacu out of the Kankakee River. Species that are not usually found in a certain place could cause disease and bacteria that can harm local fish and threaten their population. Piranha and pacu would not be able to survive the river and people were advised to find a better way of letting go of their exotic pets. Before setting out to fish, you need to do proper research first. Determine what you are about to immerse yourself into. There is a lot of books that you can find that will help you in becoming a better fisher. When you have done a lot of reading and have gathered all of information that you need about fishing, understanding the basic procedure is important. Pre-fishing skills can be practiced and familiarize yourself even more by adding more bait to the hook, casting the line, and tying knots before your boat gets moved by the wind. Open-faced fishing reel is what people would recommend for a beginner. There are proper gear and equipment that is fit for someone who is new to fishing. Focus on the type of fish you want to catch and have the proper bait for it. One example is catfish because they are attracted by raw chicken liver while insects and crickets bring in bream fish. If you don’t use the proper kind of bait, you might take a long time to fish. Determine where your target fish is most likely to be found because this will tremendously increase your chances of catching them. If there is an overcast weather, this might bring you more success in your fishing trip. You can still catch fish even if the weather is different, but overcast sky is the best. You cannot fish wearing any kind of clothes or shoes. You need to wear boots and layers of clothing because the weather can be unpredictable especially when afternoon comes. Always keep your hair tidy. Fishing can take a while so make sure to have food available because you never know how long you would have to wait before you can head back. You need to keep yourself fueled to maintain your level of energy. This is especially important when you would have to fight with a big fish and reel it in because you need all the strength that you have for this. Keep mosquitoes away by having bug spray. Being near water also draws you closer to insects. The bug spray will keep your from feeling itchy and you never what kind of disease you can get from a mosquito bite so it’s better to be safe than sorry. If your children won’t be helpful during your fishing trip, do not bring them along because they will just distract you unless they are old enough to learn about fishing from you. Sometimes kids show early signs of interest, but that doesn’t mean they can join all of your fishing trips. There are places where you can take them to which are safer for them while they are still learning because you are going to need all the concentration patience while waiting for the best catch. This is one of the most exciting fishing spots out there and it is a good destination for catching large species of fish. You will find here monster-sized tarpon which can have a weight of 230 lbs. You will feel how it is to really fight with a fish. Boca Grande provides guides, charters, and equipment that you can rent. Tarpon that you will find here grows up to 60 lbs. and in order for you to get here you would have to fly in. It is highly advised that you bring a guide because this location is very remote. Chances of catching tarpon here is big no matter what time of the year you decide to fish here, but the peak season is during summer time. This is one of the largest man-made lakes in that has species living in cold and warm water. You will be able to catch rainbow trout, catfish, bass, bluegill, and crappie. This is a great spot for having a houseboat vacation. This is considered to be a grumpy fisherman’s spot situated in an island paradise. This plates sits on a land of 500-acres in Florida Keys. You will find tarpons here and even enjoy snorkeling with your family here. If you have a child who wants to learn fishing, this is a good place to start them off with. There are a lot of places in America where you can catch bass, but this one is the best. It is because the sizes of bass that have bene found here are more than 20 pounds. A bass that weighs almost 20 lbs. is uncommon, but catching one that weighs between 12 to 15 lbs. is usual. Aside from fishing, you can also enjoy swimming and boating here as well. If you are into catching shark, come to this place. There are several species of sharks that can be found here. The main target in this location is the Mako-Shark because it weighs 1000 lbs. and Massachusetts Bay is a prime spot for catching them. You need to take extra care because Mako sharks are known to attack anglers which is why having an experienced guide with you is highly recommended. If you like to go river and fly fishing, this place has golden rainbow trout which can only be found in a few places in America. This is not to be mistaken with the golden trout that can be caught in California because the rainbow trout have a form of rainbow that is uncommon and it is because of the golden hue it has on its body. Mahoning Creek has the biggest golden rainbow trout that you will catch and their size can be more than 13 lbs. The fisher is not allowed to stock live fish, live fish eggs, or other anything live in the waters unless there is a permit and license. Catching fish for the purpose of selling is not permitted. It will only be allowed if the bait and commercial laws says it is. Putting anything in the water like fish parts is strictly not allowed. Do not introduce anything new to the waters in the purpose of luring in fish. Decoys that are used in spearing fish are allowed. You are not allowed to use any chemical, lever, spring, or hook that is mechanically designed. You also should not use mechanical means to capture fish. If you did not catch the fish using hook or line and used nets or traps, then that is illegal. Betting is not allowed among the participants in the competition. They are only allowed to use artificial flys in the competition and they can be dressed whether with single or double hooks, but tandem is prohibited. If you are going to use a double hook, the angle in between the bends is 90 degrees. The weight on the fly should be artificial and not more than 4 flies should be used. You are only allowed to have 1 double hook among the 4. They are all to be mounted on the line and should have a distance of 20 inches between them. The measurement of the hook should not be more than 5/8 of 1 inch. The fly’s length overall should not exceed 5/16. If the fly is illegal, they are to be put in an envelope and given to the official of the match. Chemicals and emitters are not allowed. The lines, casts, and leaders should be weighted individually. It is illegal to use shooting, metal, and core line. Braided leaders are also not to be used. Participants should only use one rod and not more than 12 feet long. You are allowed to have a spare with the same size, but you should only mount 1 rod. The fisher should not go beyond their boundaries and is not allowed to cross over to other zones. You are allowed to use tackle box seats as long as they are not more than 5 inches tall. All those who wish to sell bait at the site should obtain a license. The bucket of the bait should not have any form of aquatic vegetation. Live bait and batfish that are legal can be taken in public waters anytime, but take note if they have regulations for this. Fish caught that does not meet the size requirement must not be kept for long and immediately returned to the water no matter the level of injury it has incurred. This will prevent the fish from getting injured even more. You should not remove more than gills, scales, and entrails from any type of fish because of the size limit while fishing. It has a VBS casting system that prevents a backlash, and with smooth 6-bearing drive. The ball bearings are shielded and made of stainless steel. This one is light in weight, strong, made of aluminum, and has a low mass spool. It is also equipped with a super stopper roller bearing. The construction is made of graphite with high-speed gearing and has reel-and-repeat castability that has crossover potential for freshwater species. The grips are made of Nonslip EVA material. This one has technique-specific rods that is made of HM64 graphite and has Pac Bay guides and Hialoy guide inserts. The handles are made of ergonomic material to give you a better grip. There are Winn grip overlays and grips made of EVA material. This rod has great balance of power and it is also light in weight. The guides remove the line friction without adding weight to the blank. There are slip-grip handles that comes with Magtouch reel seats that is great for reeling all day. The hood carbon-fiber that’s been woven prevents reel-seat threads from becoming exposed. The grip is very secure because of the EVA material, you can still control the rod even if it is wet. Great performance and very strong and it has a controlled tensile strength that comes with minimum stretching capacity. Resistant against abrasion and the diameter is small. By using this line, you will be able to catch the largest fish even if the conditions are tough. It can handle sudden shock and even the impact of bone-jarring hooksets with a minimum stretch. It can withstand the anything, even game fish. This fishing line comes in color green, clear, camo, and yellow. And it weighs ¼ lbs. You can buy this individually or in bulk if you are going to need a lot. This one is lipless, has a tall body, and has textured scales that will be able to swim, rip, and crank through the waters. You will feel the hard vibrating action and it is even more projected by a BB rattle system that produces a loud sound. The black nickel hooks will give you better control of your catch and the long casting has a variable running depth to attract more fish. Made for any kind of fishing, this line is the one you will love to use in any fishing trip. RPR05 - 2 inches long and weighs 5/16 oz. RPR06 2-2- ½” and weighs ½ oz. RPR07- 2 ¾ and weighs 7/8 oz. The colors are blue chrome, gold chrome, moss, firefighter, Helsinki shad, red craw, pearl grey, redfire craw, green tiger, chrome, and pink tiger. With this kind of bait, you will be able to catch the best fish and especially the ones that you are targeting. The colors vary to draw in different kinds of fish. This has a mid-layer mock neck top to shield you from all of the dirt. The material is a poly knit that comes with moisture transport which provides great comfort. There is temperature regulation at the lower back because of the mesh vent. It comes with stain release so that blood and other elements that could cause stain will be kept away. It is also anti-microbial to prevent you from smelling like fish. When you are out fishing, chances are you would eventually have to jump in the water and this is exactly what you will need. This pair of shorts has tie waist, diagonal pockets at the front that have Velcro flaps keeping them secure. The material is made of stretch cloth that quickly becomes dry because you will get wet for sure. There is SPF protection and stain release that prevents blood and grime from sticking to your shorts. It is also anti-microbial so you will never smell like fish. This one is for serious weather conditions and it is waterproof that is made of 430 gsm PVC cotton with welded seams, cuffs made of neoprene, and storm flap front. The hood is made of visor bill and has a draw cord for protection. Reflectors were placed on each outer shoulder so that you can easily be seen by others nearby. This is the best one for tough conditions when you are out to catch fish. Jigs – A lot of people go for this one making it widely used because of its versatility. It is able to draw in almost all types of game fish and they do not cost a lot. They come with a lead head that is weighted that comes in different sizes and colors. It has feathers, hair, plastic grub that is soft, or any type of bait you want. Spinners – These are lures that are great for beginners because it is very simple to use them. A mental shaft is attached to them with a spinning blade. The hook can either be bare or dressed and when you drag a spinner into the water, the blade spins. As the blade spins, it produces a sound and vibration that is felt by the fish. Spinners are great for waters that are stained and murky. Spoon – These baits are made of metal and are curved. Their color and sizes vary so they can be used in any type of fishing. The shape of the spoon lure is responsible for its action that can easily be seen. This one has a side to side motion in the water that imitates an injured baitfish and draws in game fish. Plugs – This bait is made from hollow plastic or wood in order to imitate frogs, baitfish, and other types of prey. They usually have a total of 2 or 3 hooks and can be used to fish in different depths because the types of plugs can either be for floating or sinking. The plugs can wobble, rattle, or gurgle that will be determined by the construction and design that it has. Their sizes differ and they have a plastic lip that makes them dive in as soon as they land on water. How much food do I need and what kind? - When you are getting started, it is important to get fish to feed in and move around your bait. Regulate the amount of food that you put in the water because feeding too much or too little is not good. There are also times when you don’t need to feed fish at all. What kind of lure do I use? - Determine the kind of fish that can be found in the spot where you are going to. There are also baits that sink deeper compared to others so this can be a factor as well. What is proper way of releasing a fish? - Play with the fish rapidly, but not until it becomes totally exhausted. The fish should remain in the water as much as possible and hold the fish with wet hands even if you have a mesh landing net available. When removing the hook, do it gently and avoid squeezing the fish or placing your fingers on its gills. The hook can easily be detached from the fish by using long-nosed pliers to do it gently. It will also be better if you used barbless hooks. The proper way of holding the fish is in an upright position and let it face towards the upstream and then slowly move it back and forth in the water. Release it gently and let it swim away. People who get into fishing love the excitement they get after the long wait. Even if they would have to spend the whole day patiently waiting for the perfect catch, then that’s what they will do. ​There are different fishing spots in America that you can choose from depending on the kind of fish you are targeting. 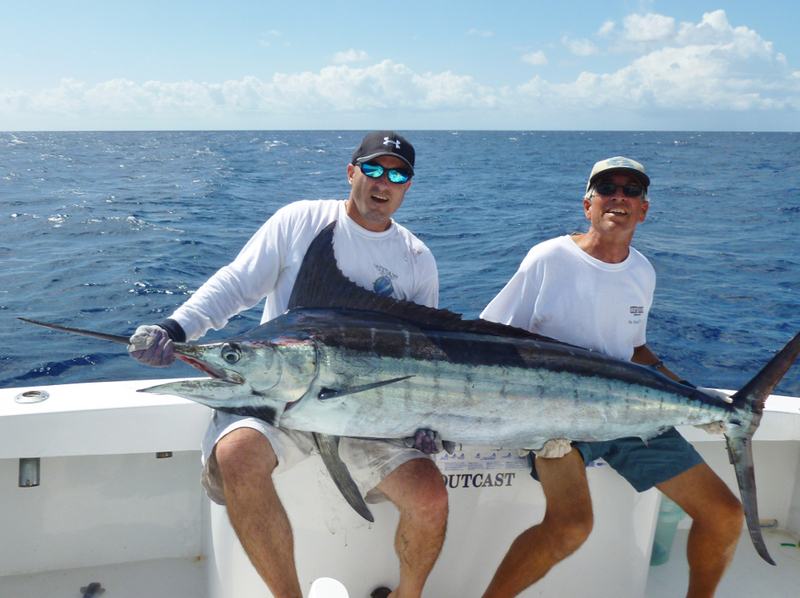 Fishing has become a sport because of the various types of fish that can be caught. Those who are into sport fishing invest in baits, equipment, clothes, gear, and they also practice in different types of waters. It may take a while before you learn how to fish in the most extreme waters, but once you get the hand of it, you will easily become addicted. The passion, satisfaction, sense of determination, and thrill keeps everything exciting. If you are not patient enough to wait for the perfect catch, then you will easily get discouraged and end up with nothing at all. Remember that fishing is being done for a long time already and it has brought nothing but leisure and enjoyment to a lot of people. So if you are looking for a new adventure to try, go fishing because you will be surprised.